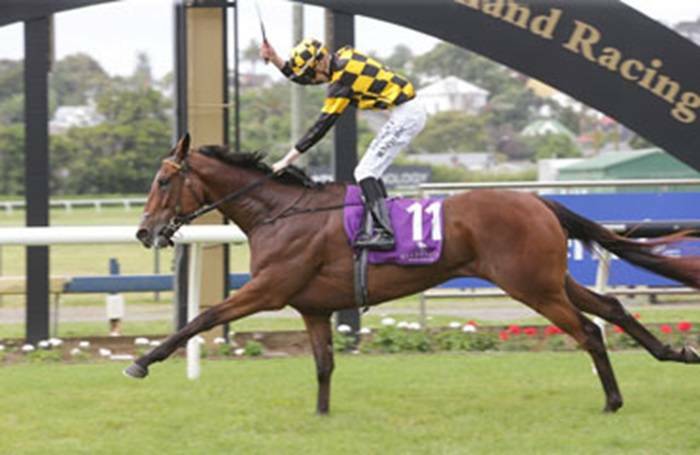 Brendan & Jo Lindsay’s special homebred Prince Jabeel (Savabeel ex J’Adane) has staged a super start to 2019, winning the Gr.3 Pencarrow Stud City of Auckland Cup (2400m) in the hands of Ryan Elliot at Ellerslie on New Year's Day. Trained by Lance Noble, Prince Jabeel is the third individual stakes winner for the Lindsay’s successful Danehill racemare J’Adane. Raced by the Lindsay's along with good friends Jeff Parsonson & Lester Van Der Veer, Prince Jabeel is now the winner of three and counts black-type siblings in the shape of Von Tunzelman (Zabeel) and Sherrif (High Chaparral). All going to plan, Prince Jabeel will now seek out a second stakes win in the Gr.3 Wellington Cup (3200m) on Jan 19. He is also nominated for the Gr.1 Auckland Cup exactly two months later.